However, Clarion has refused to allow Ibinabo to have the final words as she fired back, reiterating her earlier remarks while adding some other issues in an exclusive chat with Saturday Beats. Clarion insisted that apart from not being educationally qualified, being an ex-convict disqualified Ibinabo from being the president of AGN. 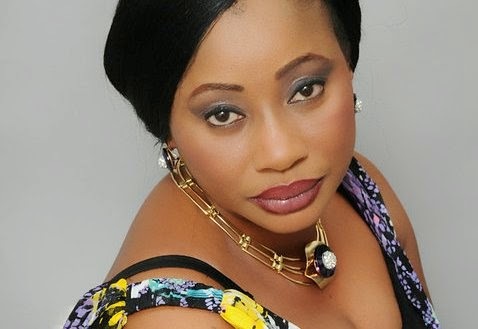 Clarion said she was shocked that President Goodluck Jonathan recognised and welcomed Ibinabo as president of AGN when she visited Aso Rock recently. “The court injunction of 2011 and 2013 was forwarded to the presidency. The criminal conviction of manslaughter was sent to the presidency. The president is supposed to be a symbol of the supremacy of the rule of law. He disregarded the law in recognising Ibinabo as president of AGN. The president is now saying there is no law in this country. So the AGN has become an ethnic grouping. This is a professional body of actors. It is not a Niger Delta solidarity platform,” she said. Clarion alleged that Ibinabo had been going from one state government house to another to “beg” for money. Concerning Ibinabo’s allegation that Clarion just registered as a member of the guild few weeks ago, the veteran actor said, “I joined the AGN in 2002. I was part of the process that brought in Zach Orji as the president of the guild and thereafter Ejike Asiegbu. When it was time for Ejike to leave, the whole thing degenerated. A caretaker committee was formed with KOK as the chairman and I as the vice Chairman. These are my identity cards. I even have a membership certificate which was signed by Segun Arinze who was the national president and Ifeanyi Dike as the BOT chairperson. Clarion also used the opportunity to fire back at Ifeanyi Dike, the Chairman of the Board of Trustees of the guild who she claimed had maligned her in some publications recently. “The BOT led by Ifeanyi Dike has been the same board since the incorporation in 1999. According to the constitution, they were to serve 10 years and leave for a new board to replace them. People had become aware that the BOT members are not men of integrity and the guild wasn’t moving forward. Clarion said she wasn’t attacking Ibinabo just because she (Clarion) wants to contest for the AGN presidency.